Home > Food Facts > What does Kale Taste like? How to Cook Kale for Better Taste? If you have to ask, “what does kale taste like?” you’ll have to be prepared for strong answers. While some like the taste, many others hate it. Raw kale, and even cooked kale, is quite bitter and really sets off some polarizing opinions. How to cook kale and its flavors is certainly debatable, but what everyone agrees on—and why it’s so popular—is the nutrition that it packs. Called the “king of super healthy greens,” kale is a member of the cabbage family and related to other cruciferous vegetables like broccoli, collard greens and Brussels sprouts. It’s one of the most nutrient dense foods on the planet, which is why it’s on everybody’s radar. After knowing what does kale taste like. Let’s get into ways of how to make kale taste good. It’s extremely low in calories but one of the most nutritionally dense and diverse foods on grocer’s shelves. One cup of raw kale is very rich in a number of important vitamins and minerals, while being a great source of many others. For nutrients, a simple serving can take you well up over your daily recommended intake! OK, so now that you have an idea of how healthy it is, let’s take a look at how to prepare kale for it to taste better. 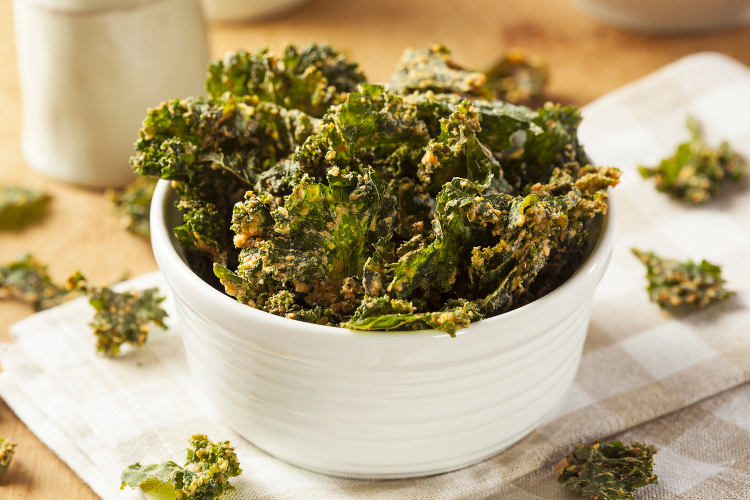 One of the most popular ways to include kale into your diet is by making kale chips. This can remove most of the bitterness from the actual taste of kale or at least make it easiest to mask—because you can add flavorings and seasonings that please your palate. This ways kale chips taste better than simply cooked kale. To make kale chips, remove the stems and thoroughly rinse the leaves. After rinsing, dry the kale to ensure there are no wet spots—if there are, you may compromise the crispiness. Arrange the leaves on a baking sheet, making sure you’ve left room between each leaf; when they overlap, it can create a water trap leading to soggy chips. Season them with salt and pepper, or whatever seasonings you like, and cook for 15 minutes in the oven, turning at about 10 minutes. Drizzle with olive oil. Of course the longer you expose food to heat, the more nutrition you stand to lose. If you want a potentially more nutritious way to eat kale, you can try including it in a pesto. Create a kale pesto by combining 1 cup of basil leaves, 2 cups of kale leaves, ¼ cup of olive oil, ¼ cup of walnuts and a pinch of salt in your blender. Blend it up until it’s smooth and use as a dip, topping for flatbread, or a sauce on a pasta dish or sandwich. You can also sear kale to serve it up as a quick side or include it in a pasta dish. Heat your skillet to a high temperature with 1 tablespoon of canola or virgin olive oil (something with a high smoke point), then include a couple of cups of washed, dried kale. Sprinkle with some salt and press down with the lid or spatula for 30 seconds, then flip it and cook for another 30 seconds. Plate and serve immediately. Now those are some things you should do with kale. To get the most out of the leafy vegetable, there are also a couple of don’ts. Never boil your kale, and never prewash it; instead wash immediately before use to prevent wilting. Kale can also be consumed in smoothies, which do provide a decent mask. It might sound gross, so you can add things that more palatable to you; but remember that at the end of the day, it’s just a mask for kale, so the more things you’ve got in there to distract your taste buds, the better. A kale pesto, believe it or not, tastes great with zucchini noodles. Mix in the pesto and squeeze a little lemon on top to blend the flavors. You can even opt to spice it up a bit to offer even more flavor—you might even be surprised there’s kale in there at all! I’ve heard stories of kale being a great addition to juices, but surely this comment is made by only considering its nutritional value. However, one recipe that might make me change is my mind involves adding it to a carrot apple ginger juice. 2 quarter-sized pieces of ginger root. Throw it all in the blender or juicer and voila! You may have a nutritious, refreshing and palatable mode of getting kale. 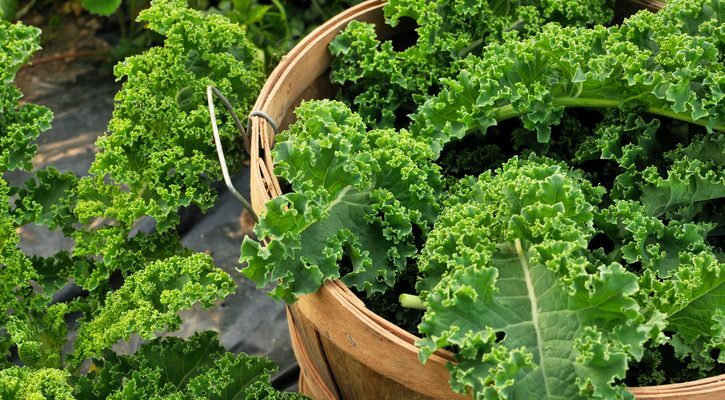 There’s no beating around the bush when it comes to kale’s health benefits. It’s a great thing to include in your daily diet even if it is very bitter. If you’re one of the many who can’t handle raw kale on its own, there are ways to deflect the bitterness. Give one of those tasty ideas a try and you might end up pleasing your body and taste buds, while improving your health. 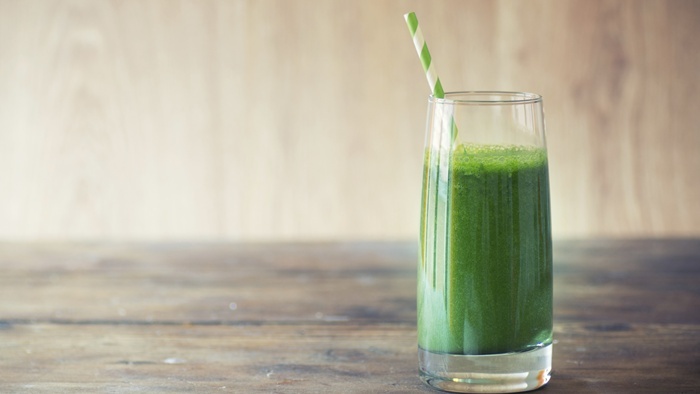 “Kale Smoothies,” Blendtec; http://www.blendtec.com/blog/10-savory-kale-smoothies/; last accessed Jan 31, 2017. “Kale Aid is the Best Kale Juice Recipe Ever,”ElizabethRider; http://www.elizabethrider.com/kale-aid-is-the-best-kale-juice-recipe-ever/, last accessed Jan 31, 2017.